I’ve been waiting 4 1/2 years to eat at this restaurant. That’s right, I have long-term goals, and sometimes I accomplish them. Way back in May of 2013 I attended a conference put on by Dr. Andrew Weil where I first heard about his healthy restaurant True Food Kitchen. I tucked it away in the back of my mind with plans to get myself to one as soon as possible. Since they are mostly in the south and the east of the U.S., it never seemed to line up right when I was traveling even when I found myself in California and Arizona. But last month when I was in Chicago for the Food and Nutrition Conference and Exhibition, I discovered a True Food Kitchen location just 3 1/2 miles away from my hotel. I was attending the conference with my most excellent travel buddy and co-worker, and she was game to let me direct our eating for the entire trip. This is a sometimes perk of being an obsessive food professional: people defer to your whims. 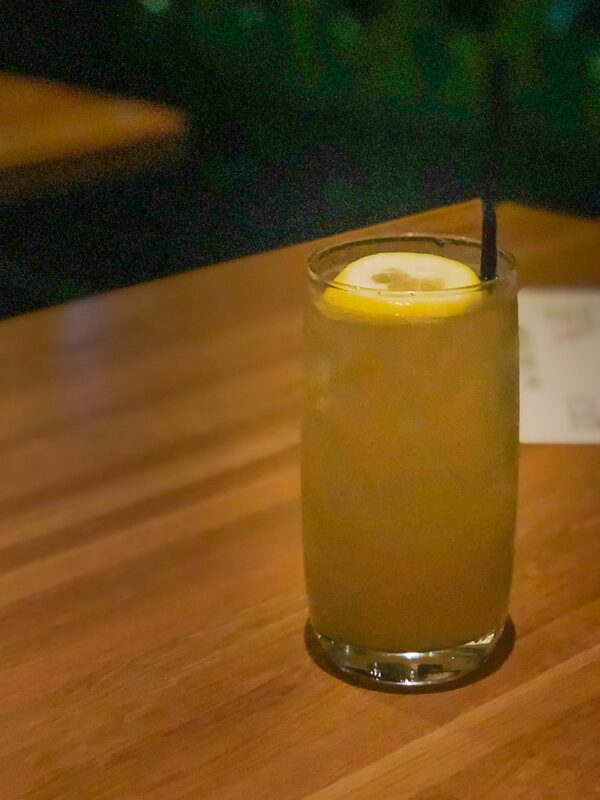 So she was completely willing to Uber with me to the River North location for dinner one evening. The offerings at True Food Kitchen change with the seasons, and they had just switched over to their fall menu. They have plenty to offer the vegan, vegetarian, pescatarian, flexitarian, and omnivore. So essentially, anyone could be happy eating here, meat-free or not. Plain and simple, it’s just vibrant, delicious food. I started off with the Sparkling Antioxidant Tea made with organic iced green tea, pomegranate, and lemon. It was the ideal balance of sweet and tart with the bubbly kick of carbonation: fresh and fizzy. 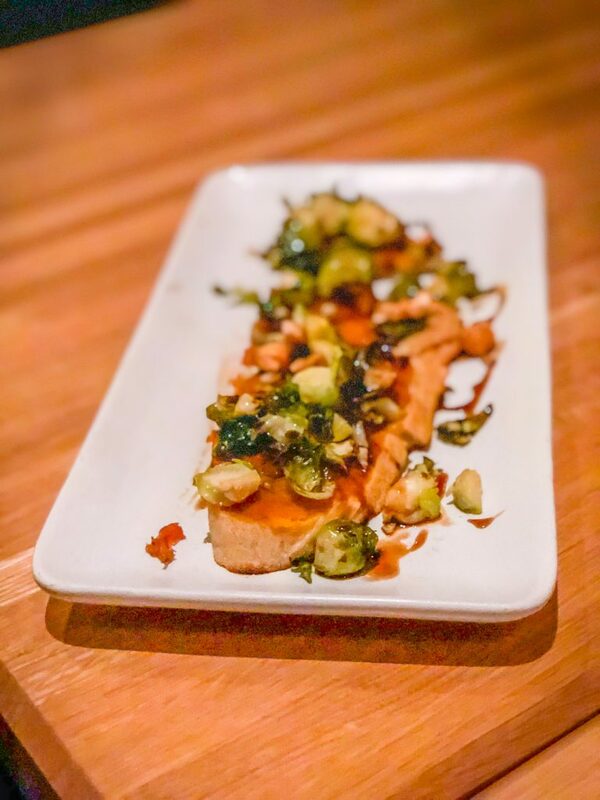 Our appetizer was the Winter Squash Toast with Brussels sprouts, caramelized onion, lemon, saba (a syrupy grape reduction, sort of like balsamic vinegar), and hazelnuts. The bread was soft, not crispy like I expected from a typical bruschetta-style starter, so it was pleasingly chewy. There was a nice play between sweet from the squash and bitter from the Brussels, all tied together with the tangy vinegar-like notes and earthy nuts. Did I mention it’s vegan? 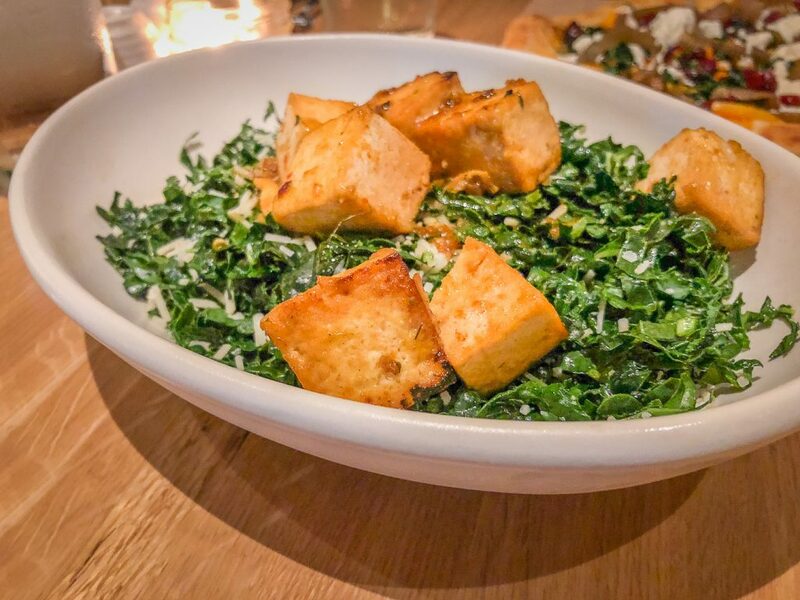 For my main course I got their signature Organic Tuscan Kale Salad with a request for it to be topped with tofu to bump up the protein a bit. I loved the small cut of the kale leaves because it made the salad easy to eat. There was a nice acid level but overall the flavor was savory and a little salty from the cheese. Lemon, garlic, Grana Padano cheese, and breadcrumbs. 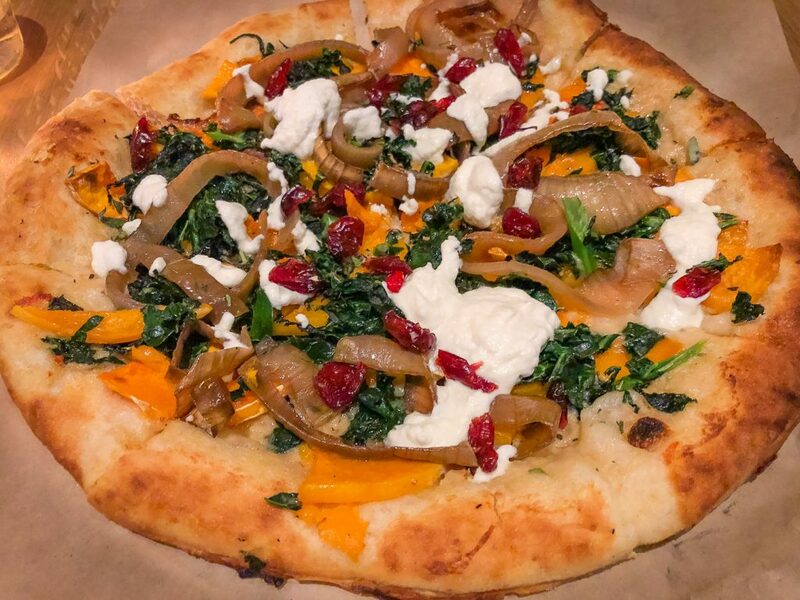 My friend got the Butternut Squash Pizza. (As I type this I’m realizing we doubled up on the squash dishes, but that’s what you get from a seasonal fall menu: squash, squash, and more squash!) The sweet cranberries were a welcome companion to the other flavors and the crust was pizza perfection: crispy and chewy at the same time. Did I mention it’s vegan? Smoked onion, organic kale, vegan almond ricotta, and dried cranberries. We were so enthralled with the menu and the healthiness and the plant foods and the ambiance, my friend suggested (without prompting from me, I swear) that we head back the next day for lunch. 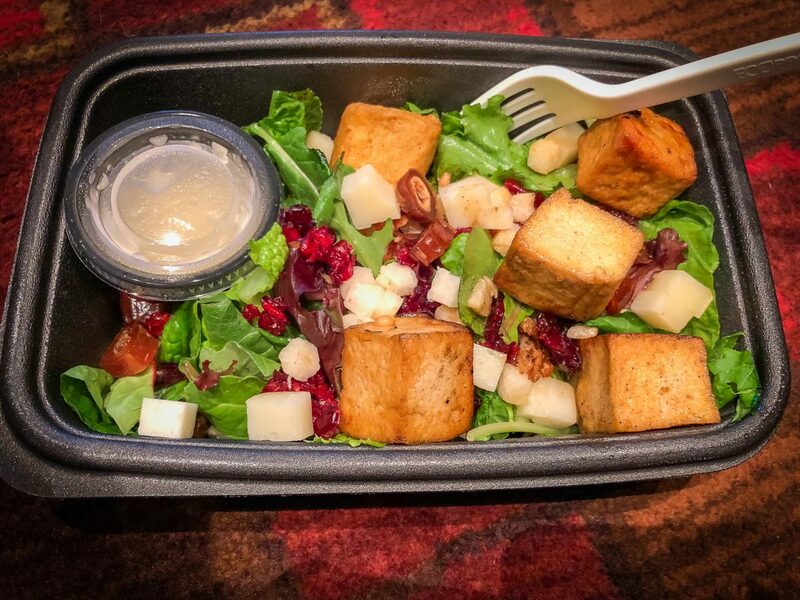 We each got the Grilled Chicken Salad to go but I asked for tofu as a substitution, and we couldn’t stop raving about the damn champagne vinaigrette. It was incredible. Medjool dates, dried cranberries, jicama, apple, manchego cheese, farro, marcona almonds, and champagne vinaigrette. Another interesting note about the salad was the ratio of greens to grains. It had farro, which is a whole grain, but instead of being a grain-based salad with some lettuce, it was a lettuce based salad with a sprinkling of cooked farro. For the folks out there who are trying to eat meals without carbohydrates (which for the record I don’t endorse) this would be an alternative to avoiding grains altogether. This simple flip of proportions is a nice compromise. 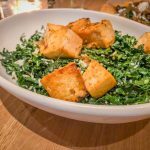 After waiting 4 1/2 years, True Food Kitchen lived up to my expectations, in spades. I know I’ve gone on about this before, but healthy food can taste good. It does taste good. Fried food isn’t the only thing that tastes good at a restaurant. When talented chefs are running things, a menu can be full of avocado, sunflower seeds, tomato, fennel, cauliflower, olives, zucchini, mushrooms, and snow peas and taste phenomenal. 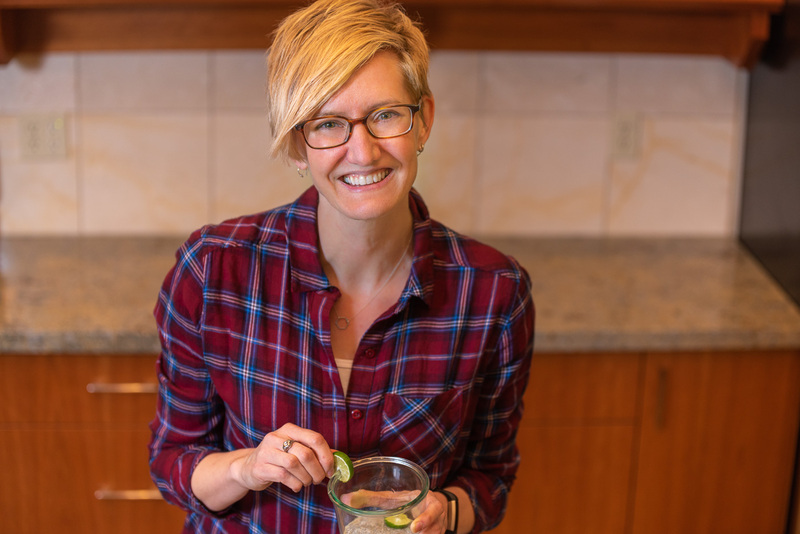 If we can start to see this as normal, instead of a 16-ounce steak or a plate of buffalo wings, we can have the best of both worlds: the joy and convenience and specialness of eating out without the hit to our health from the standard menu indulgences. Seems like a worthy goal, short- or long-term, to me. Do you have a favorite healthy hot spot, where you can dine out and feel wonderful all at the same time?